The Side-Out Drill is designed to help players get focused on their service following a side out. 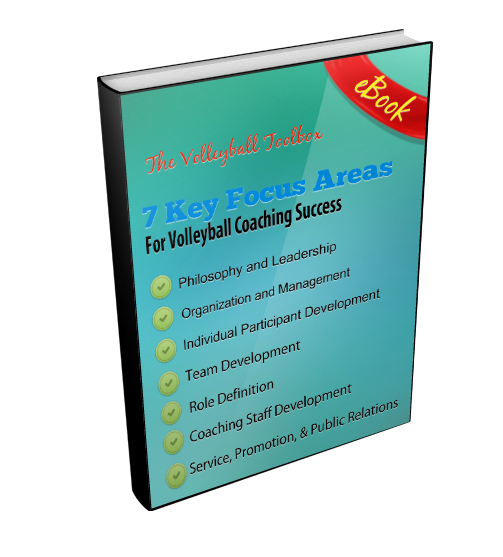 To be successful teams must quickly refocus after a side out and back that point up with a solid service point. The simple act of winning back to back points can be the difference between winning a losing. The side-out drill below is demonstrated by Bond Shymansky, former Marquette and current University of Iowa Head Coach. He calls this side-out drill the 1-2-1 drill. This drill requires a team to win 4 “mini-points” in order to earn a big point. The drill is designed to force players to refocus quickly after a won rally and capitalize on their opportunity to serve and score points. The 1-2-1 side-out drill is just one of several great coaching drills and ideas contained in Coach Shymansky’s DVD entitled AAU Coaching Girls Volleyball: High Energy, High Rep Practice Drills. For more information about that dvd click the link above. The side-out drill begins with a serve receive. If the team wins the serve receive point, a free ball is very quickly tossed in. If the team wins that point, immediately a second free ball is tossed in and played. These free balls are played to simulate a longer exciting rally. Should the team win the second free ball, they will earn the right to serve. If the service point is won, they earn a point. The drill requires them to win a serve receive point and two free balls before attempting to back up the side-out by earning a point with their serve. This is great drill to build mental toughness in your players.